The classic silhouette of the Florsheim Kenmoor offers a timeless style with durability to suit almost any occasion from the office to evening events. The company has had some significant changes to ownership and production since it was first established in 1892 by Milton Florsheim. From being sold then repurchased by members of the Florsheim family, to moving the manufacturing of their shoes from America to India. 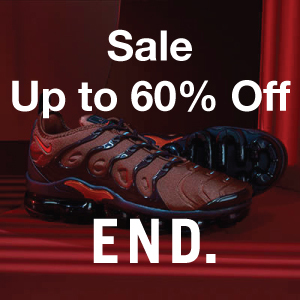 To ensure their shoes to remain within a certain price range, and to keep up with demand, there have been cuts made to the overall quality of this shoe. While changes have been made, you can still rely on the Florsheim Kenmoor Wingtip Oxford to last you for up to 10 years. I had no troubles with the fit when I received my pair of Florsheim Kenmoor. Most reviews confirm, and I can also attest, that these shoes run true to size. Both the length and the width fit within expectations of standard US sizes so no need to worry that you’ll have to always wear socks to get a better fit or that you’ll need to exchange them. I ordered according to my US size 8 and the pair I received was a perfect fit. I found that the sole could be slightly more cushioned with an additional shoe insert, but this didn’t make the rest of the shoe uncomfortable. 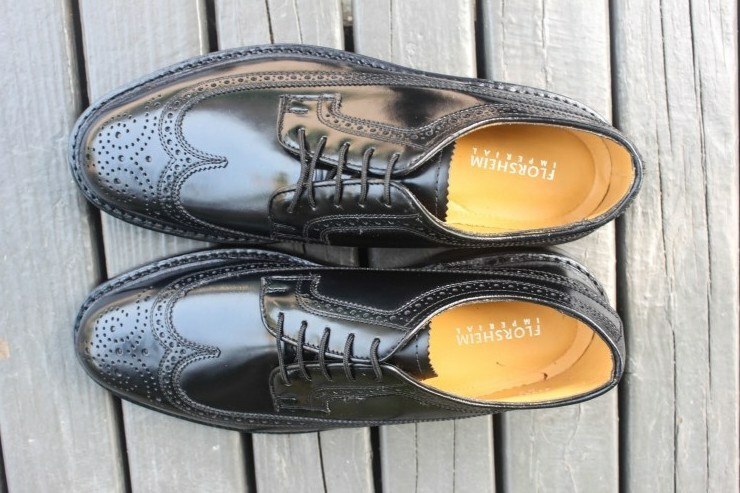 The Florsheim Kenmoor Wingtip comes in different tones of leather and I chose my pair in black. These shoes are fashioned in a timeless silhouette which means there is no need to upgrade in the future because of new fashion trends. The slick black look of them allows you to further dress-up your clothes, adding a touch of class to otherwise basic outfits. The outer sole structure is why this shoe is a winner in my books. 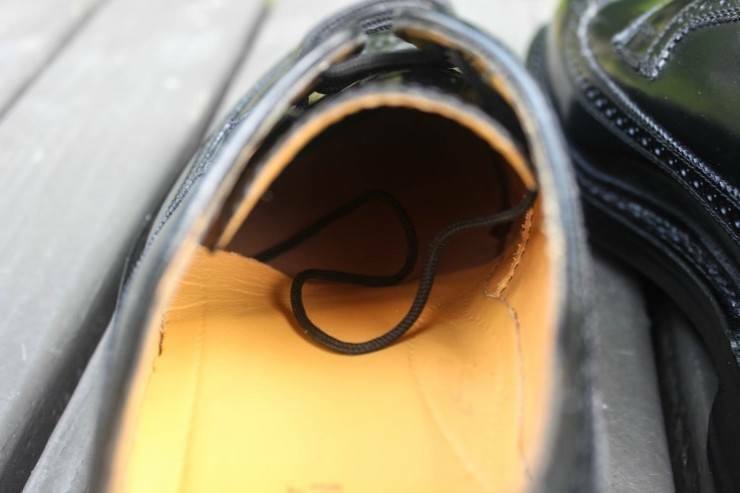 These shoes have the outer sole attached with a Goodyear welt, securely fixing all the layers of the shoe together. This aspect of the shoe allows for professional resoling, because of this you can trust that these reasonably priced shoes should last you upwards of 5 years. Walking through the rain proved that these shoes can withstand the elements, just be sure to let them dry out after wearing them in the rain. This will keep all components of the shoes in the best possible condition. I’d also recommend that you put anti-slip tape on the bottom of the sole for wet weather, as the leather sole can be overly slippery. The outer sole base could have a better finish to avoid the plastic-like appearance, but the quality is still there. 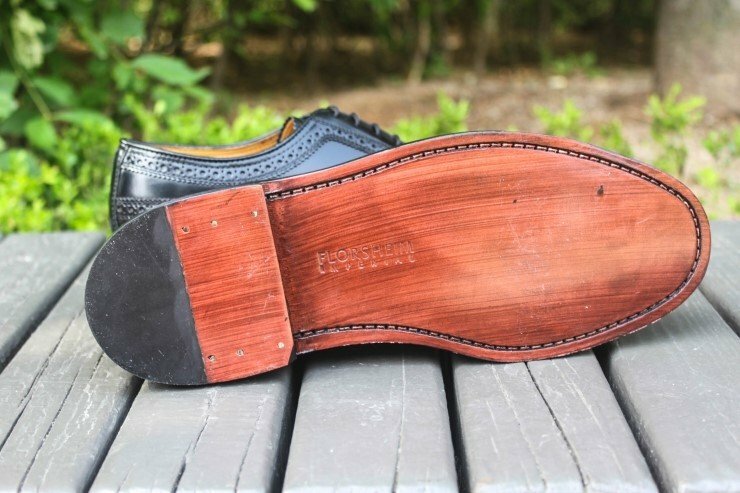 There isn’t much of a variation in this department with shoes in a similar price range, but if it really bothers you it might be worth paying extra for shoes with a nicer finish around the base of the sole. The insole is soft, genuine leather. The base of your foot will have no issues with comfort or support as the insole is nicely cushioned. The leather interior creates a moisture-free environment so you can wear these shoes with or without socks. Over time the rich leather will become even more comfortable as it molds to better fit your foot. When I first put these shoes on, the first thing that stood out to me was the stiff upper leather. You will have to break in these shoes before they will feel great to wear and you may find yourself with a few blisters. However, once the upper leather loosens and becomes more flexible, these shoes will keep you supported and dry all day long. 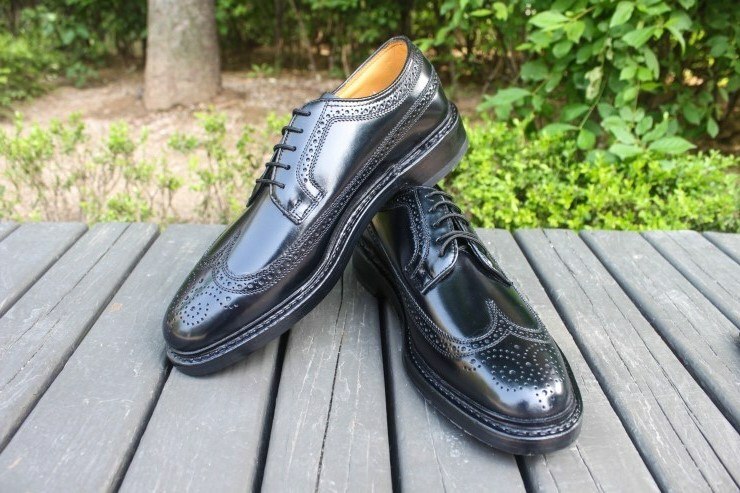 There are similar shoes to the Florsheim Kenmoor Wingtip which are arguably more aesthetically pleasing, such as Allen Edmonds McAllister Wingtip Oxford, but because they are manufactured in the USA, the price is a good $400 above the Florsheim's. In my opinion, there isn't too much of a concern for me if my shoes are made in India but for some, it may make or break a purchase. The heel is firm rubber which can make the heel and base of the shoes withstand everyday wear and tear. The rubber minimizes the sound the shoe makes on hard surfaces. The heel is reinforced with brass nails, further fortifying the overall structure of the shoe. The base of the shoe presents the stitching of the Goodyear welt, which is done using the technique of lock stitching. This technique guarantees that the rest of the stitching is not compromised if one portion of it becomes damaged. This feature of the shoe’s production makes it a very dependable shoe. 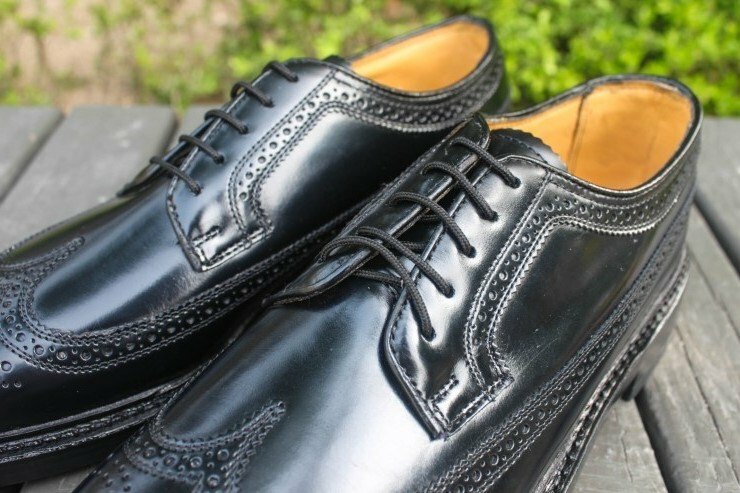 The brand of Florsheim has had a great reputation, offering stylish, US-made shoes at a competitive price. Since the changes with ownership and manufacturing, there is a notable change in the quality of the shoes. Moving production away from the US to India has arguably lowered people’s expectations of how valuable these shoes are. My experience assures me that they are certainly worth the price point. Especially when you consider how much more you will be paying if you choose to only purchase shoes manufactured in the US. 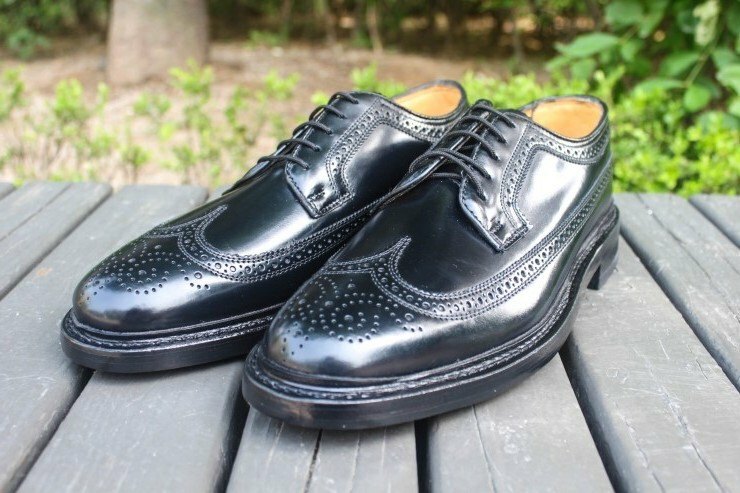 For me, the Florsheim Kenmoor Wingtip shoes are the best in this price range. If you want more style and quality, you’ll find yourself paying significantly more. 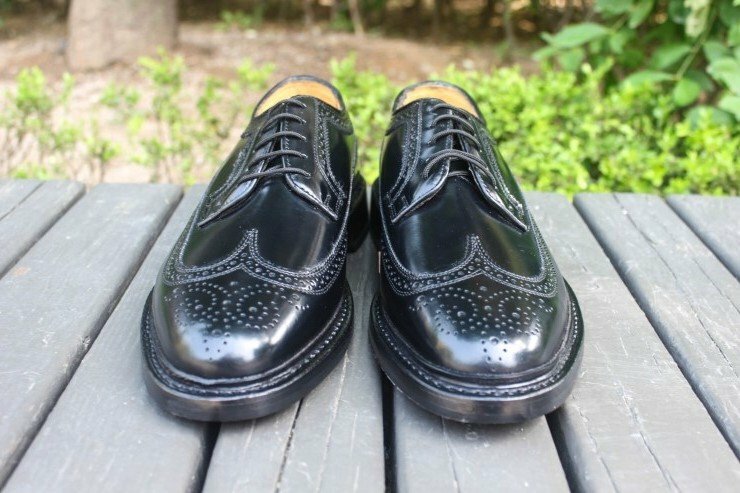 Allen Edmonds offers competitors to these Florsheim’s but is about $200 more per pair. Another alternative is Beckett Simonon shoes. These shoes come hand-made from genuine, full-grain Argentinian leather. However, they are made to order, so prepare yourself for up to 3 months of waiting. 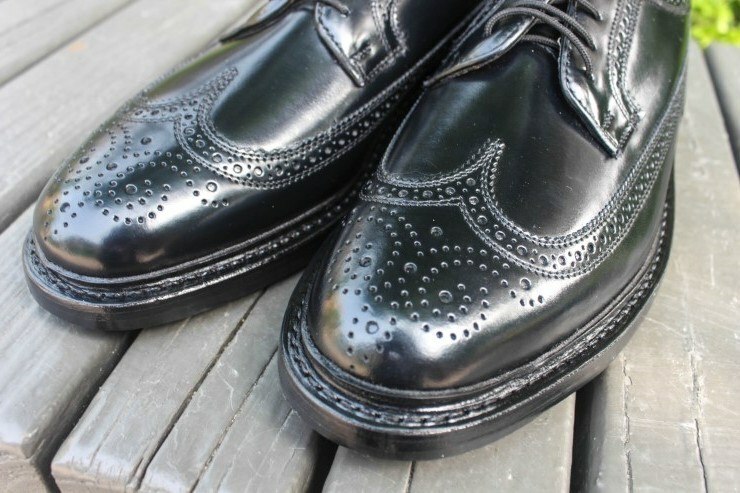 Beckett Simonon’s are also blake welted, a simpler but weaker way to reinforce the shoe. 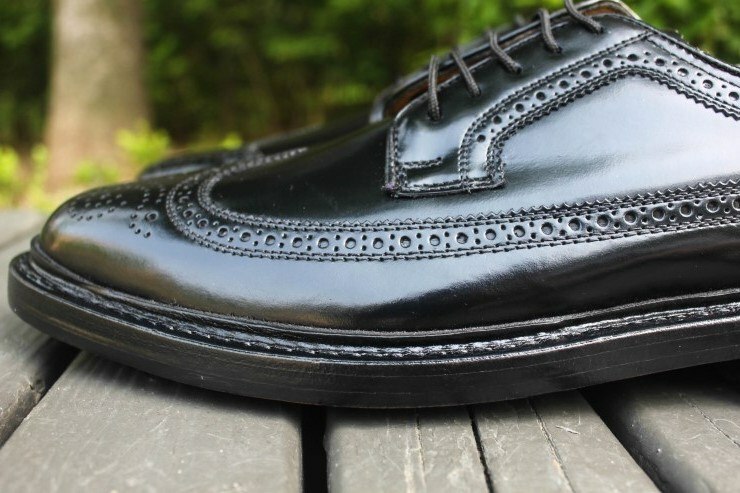 While Blake welted shoes can still be re-soled, the process can be more expensive, and the shoes are far less water resistant than shoes with a Goodyear welt. Time will tell how the Florsheim Kenmoor ages over the years. Vintage Florsheim’s last decades so I have hope that the modern Florsheim’s can withstand the test of time. 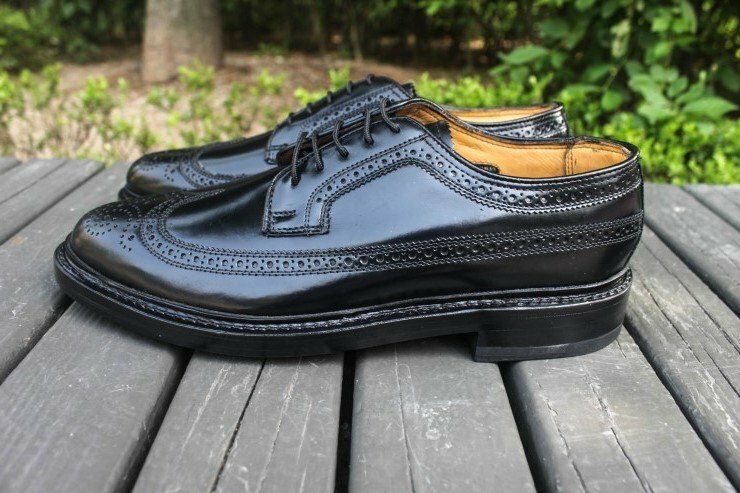 While the design or manufacturing of these shoes is not ground-breaking or completely unique, they are a reliable pair of shoes with an ageless silhouette. Once they are broken-in, which can take a while to accomplish, you’ll find yourself reaching for these on a regular basis.